Understanding and controlling biological responses against artificial materials is important for the development of medical devices and therapies. Self-assembled monolayers (SAMs) of alkanethiols provide well-defined surfaces that can be manipulated by varying the terminal functional groups. Thus, SAMs have been extensively used as a platform for studying how artificial materials affect biological responses. Here, we review cell adhesion behavior in response to SAMs with various surface properties and the effects that adsorbed proteins have on subsequent cell adhesion. We also describe an application for SAMs as a substrate for culturing neural stem cells (NSCs). Substrates that induced the correct orientation of immobilized growth factors, like epidermal growth factor, improved the selection of a pure NSC population during cell expansion. In addition, we review new methodologies for using amphiphilic polymers to modify the surfaces of cells and tissues. 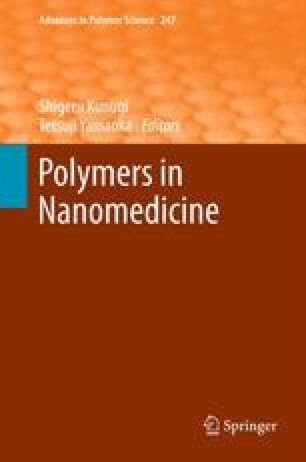 Coating the cell surface with amphiphilic polymers that can capture and immobilize bioactive substances or cells represents a promising approach for clinical applications, particularly cellular therapies.